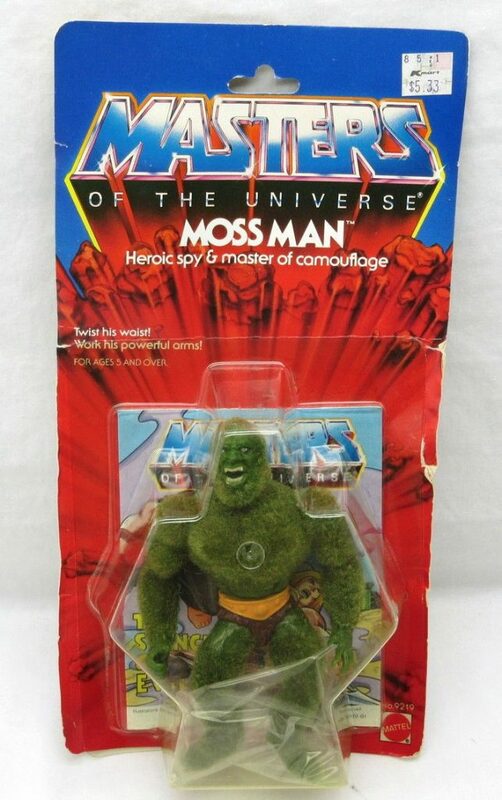 Moss Man is another figure that I have very clear memories of. 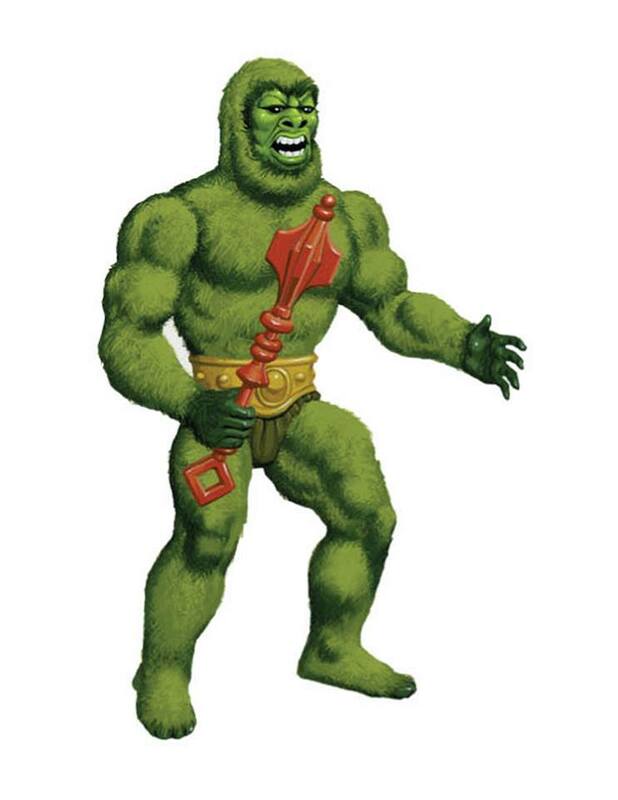 I remember getting him for Christmas, probably in 1985. 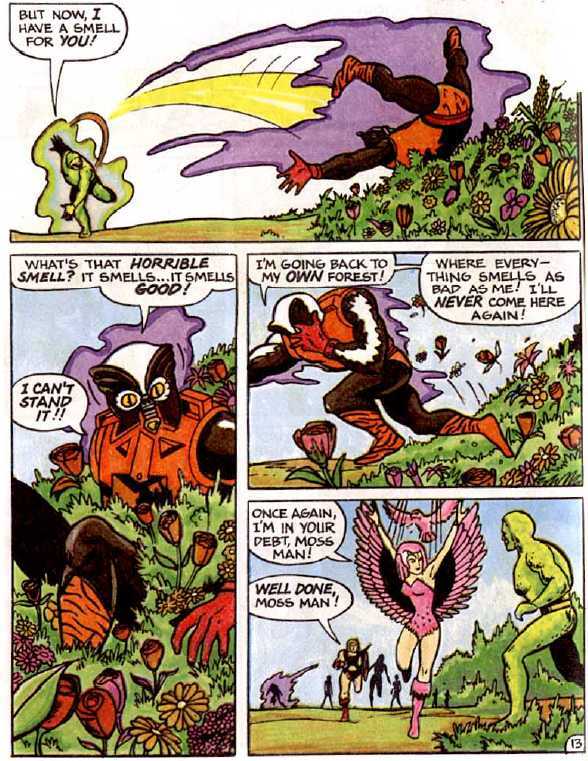 Unlike Stinkor, I didn’t remember him based on his smell. His pine scent wasn’t immediately obvious because I ripped him off of his card right next to the Christmas tree, which had an even stronger pine scent. I remember my parents had allowed us to open one present on the night before Christmas. All the lights were out in the room except for the blinking colored lights on the tree. 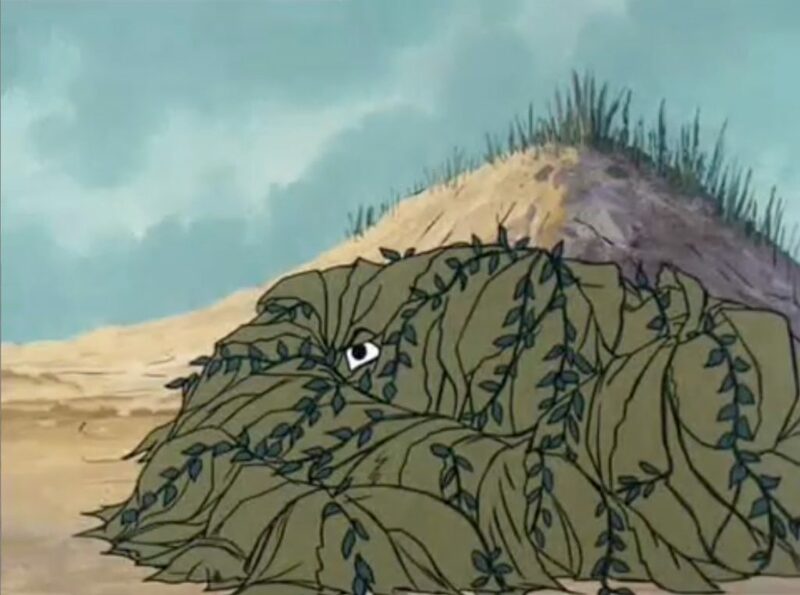 I remember the way that Moss Man’s green and brown flock glistened in the colored lights, and the prickly texture of the figure. It wasn’t until I had got him back to my room that I realized he also had a pine scent. 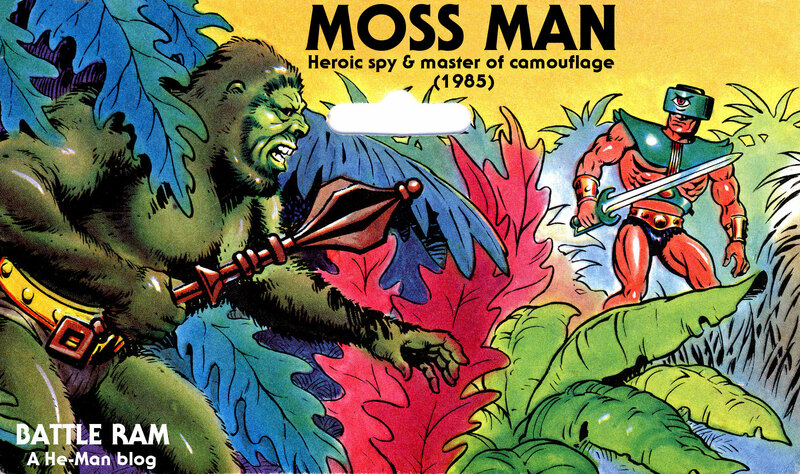 Like Mekaneck and Buzz-Off, Moss Man was characterized as a spy, with the ability to blend into his surroundings. 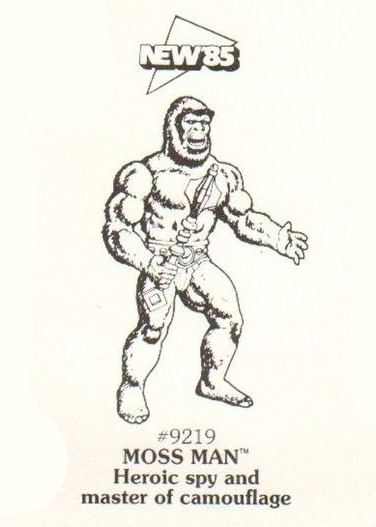 I remember being a little frustrated that I could still pick him out deep in my mother’s potted plants. His bright yellow belt gave him away every time. 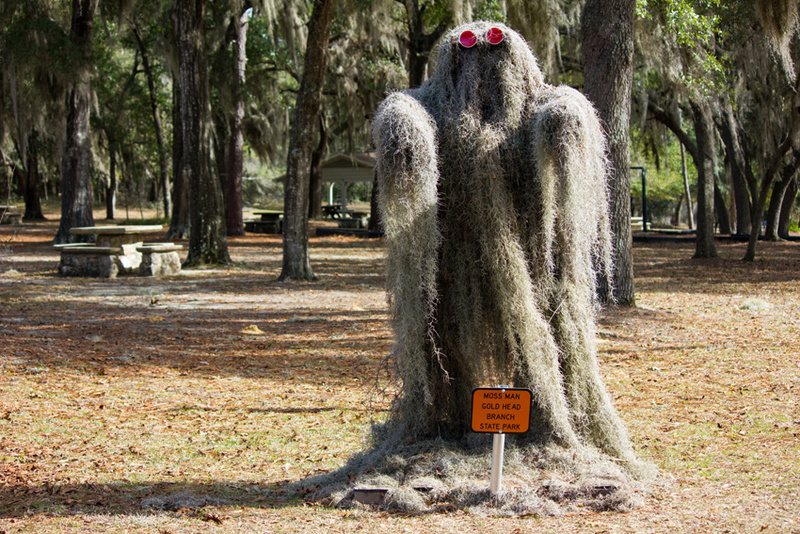 It’s possible that Moss Man was based on the legendary Florida Moss Man – a creature said to roam Florida’s Withlacoochee State Forest. 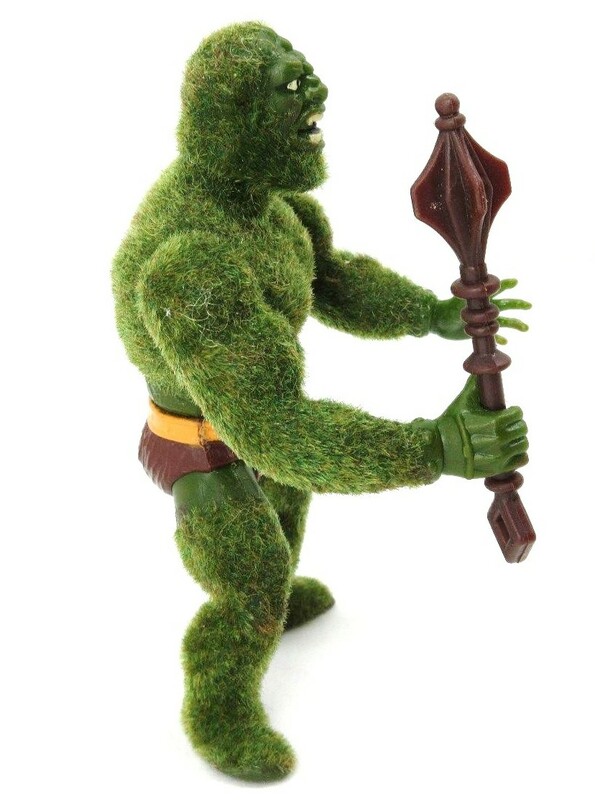 Moss Man is very simple action figure. 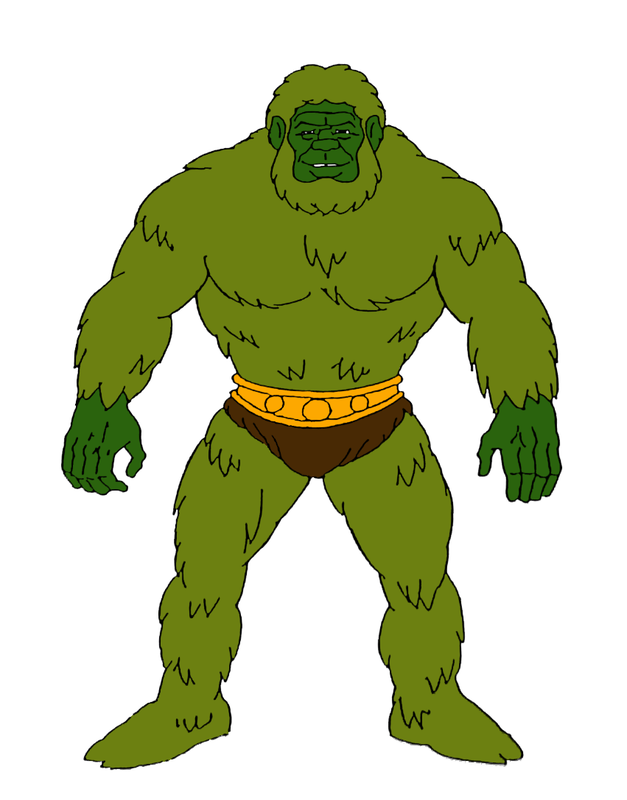 He’s a green Beast Man covered with green and yellow flock (small nylon particles), with a brown version of the mace weapon that came with Castle Grayskull. 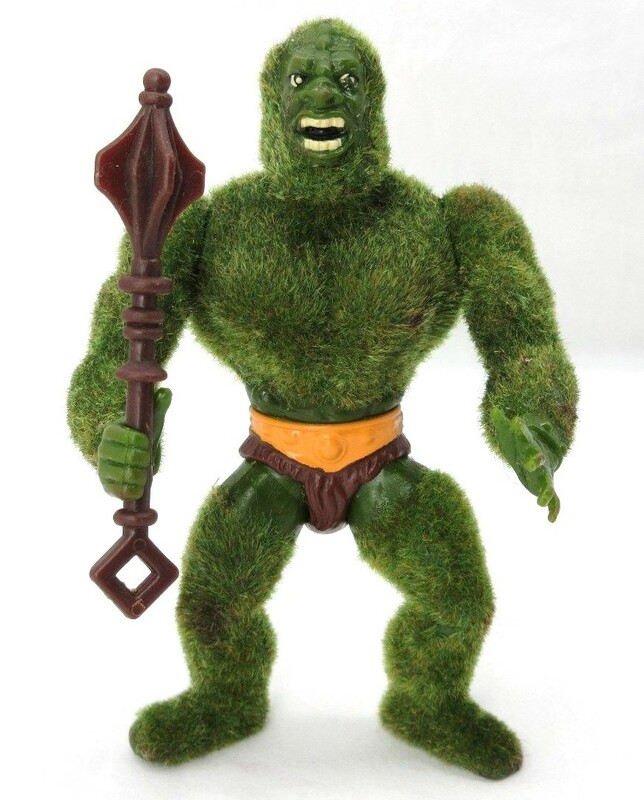 In fact, the only known prototype for Moss Man is just what you’d expect – he’s literally a Beast Man figure that someone at Mattel painted in green, brown and yellow, with some flock added over top top. Cross sell artwork. Image courtesy of Axel Giménez. Black and white version used in ad sheets. Illustrated by Errol McCarthy. Image courtesy of Jukka Issakainen. 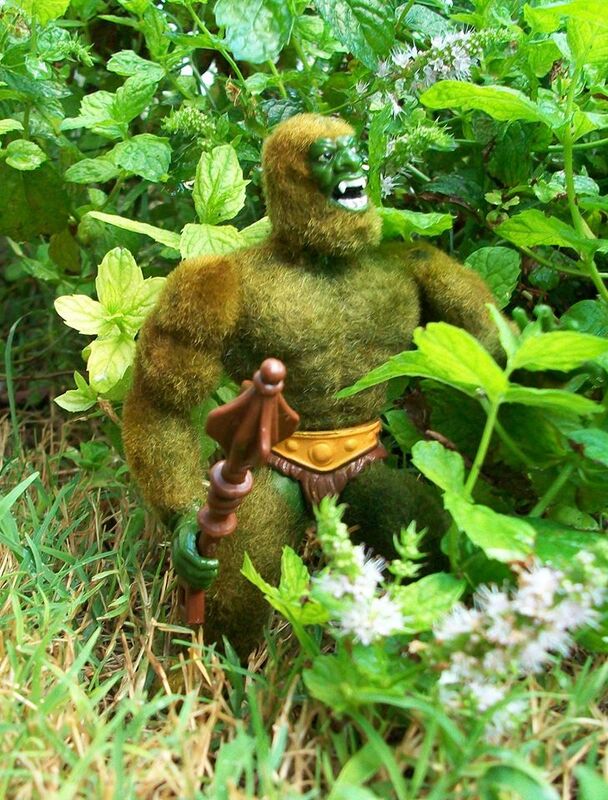 Moss Man is the second and final flocked toy in the vintage MOTU toyline. 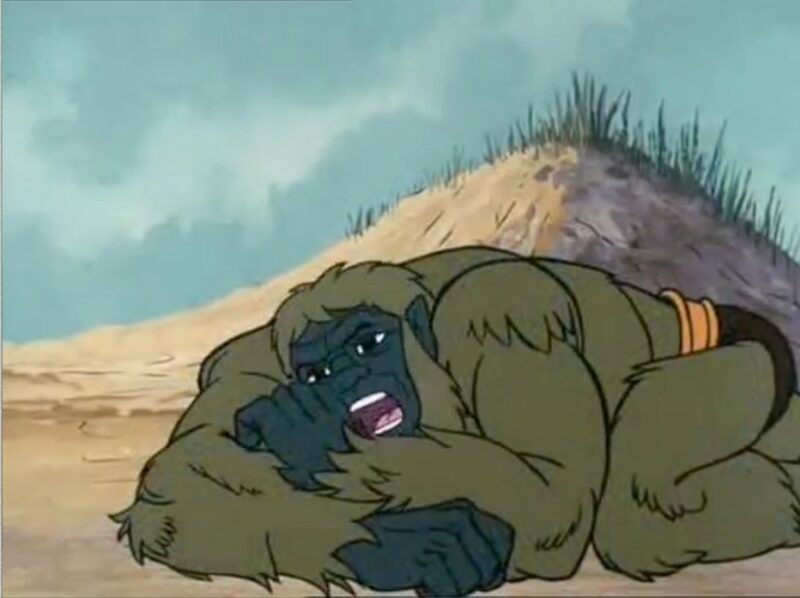 The first was Panthor. 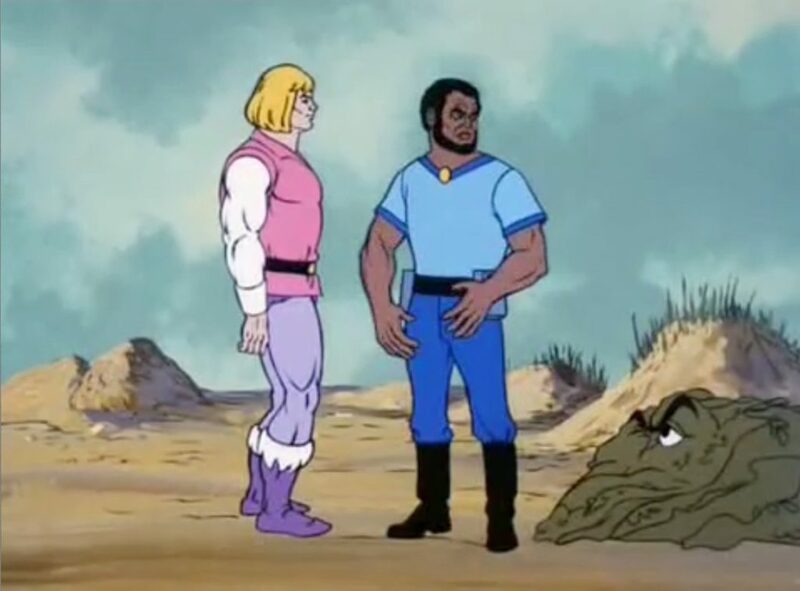 Panthor’s “fur” was much shorter and smoother, however. 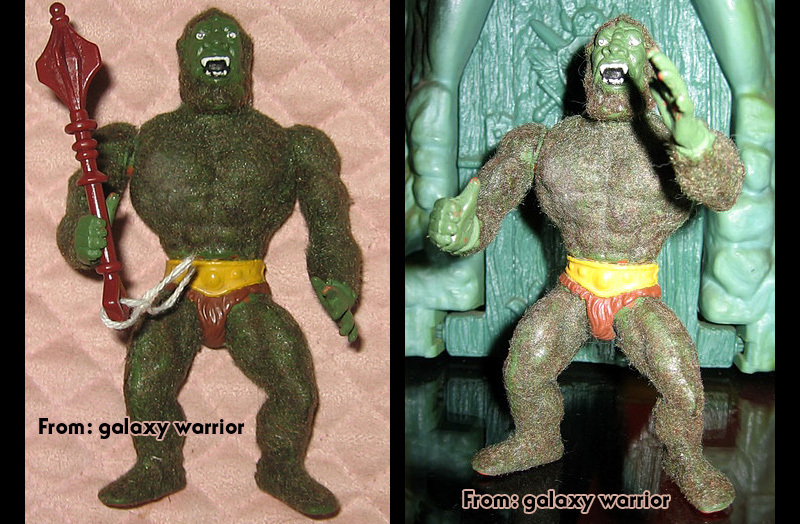 The Argentinian Top Toys release of of Moss Man had painted fangs, like the prototype, and his mossy “fur” was quite long and luxurious. 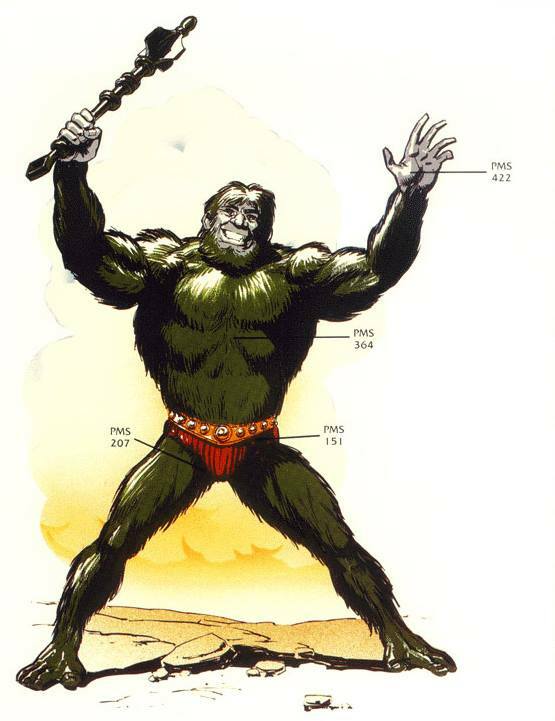 Filmation model sheet. Image courtesy of Jukka Issakainen. 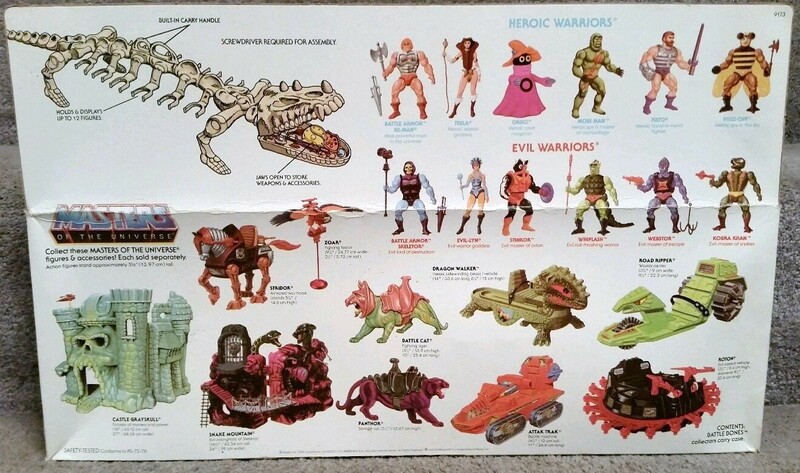 I’m not sure why, but it seems to me that the “cheap repaints” of the Masters of the Universe toyline are among the most memorable action figures. 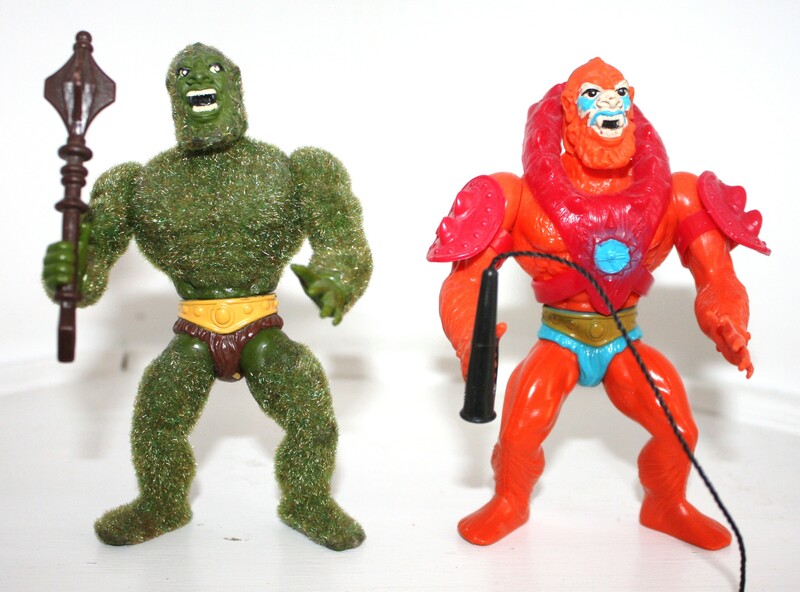 Faker, Stinkor and Moss Man were all entirely made from recycled molds, and yet they seem to be among the most memorable figures in the toyline. 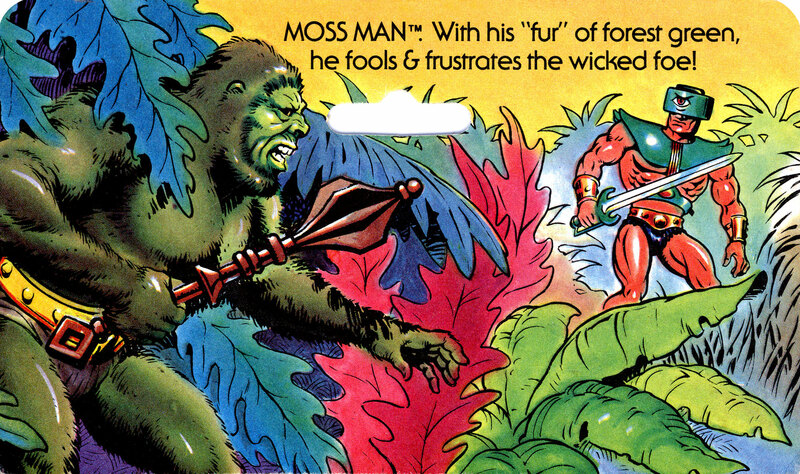 Maybe it’s because Mattel tried to make up for that fact by giving them audacious colors (Faker), a powerful and funky smell (Stinkor) or prickly “fur” (Moss Man). I got both Moss man and the Slime Pit for Christmas one year. 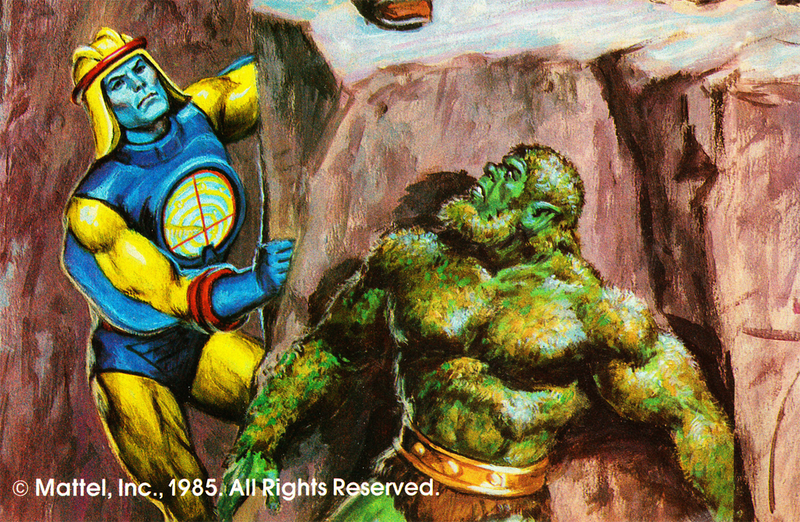 One of the first things the instruction booklet for the slime pit stated was certain figures were not to be used with slime. 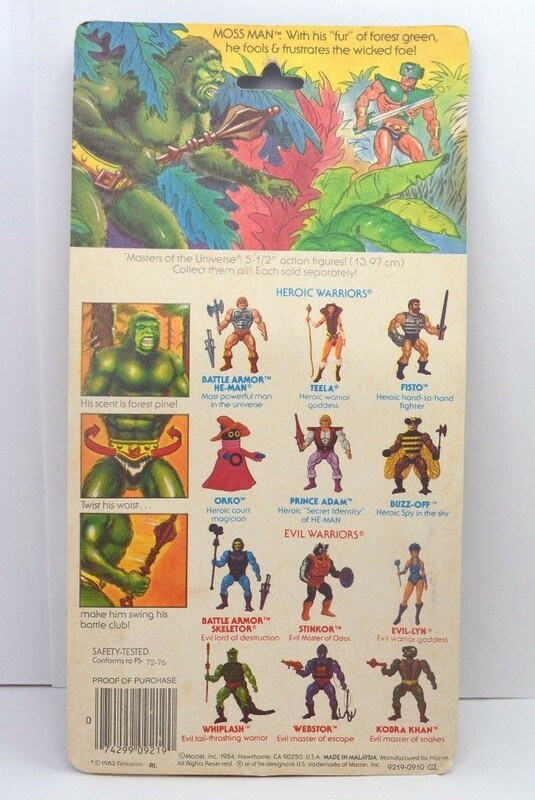 Im sure for obvious reasons that included Panthor, Grizzlor and Moss man. Well a kids gota do what a kids gotta do! All the three got the snot treatment and came out looking far more interesting. Mum must of had a bit of a brain fart that year and decided on a mini treasure hunt for us kids. Not thinking it through she put the slime pit in the freezer under the stairs over night, turning the slime into a popsicle! You were a brave kid! 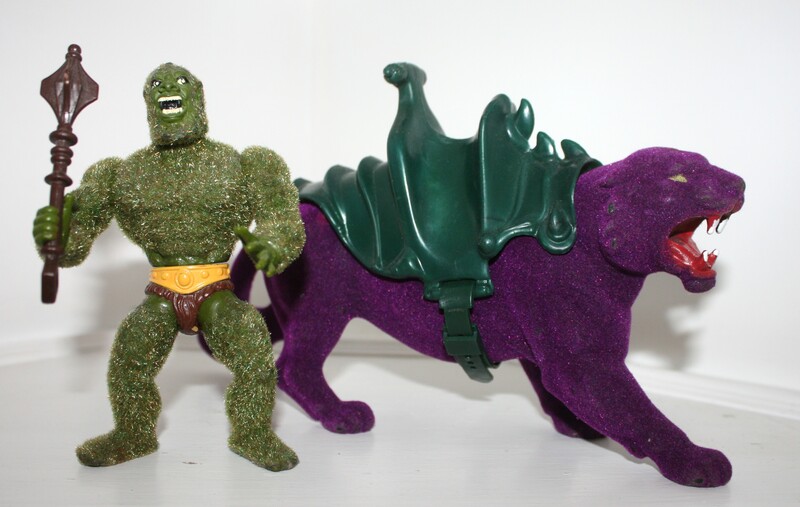 I never had the slime pit but I did have the Mattel slime, I think. 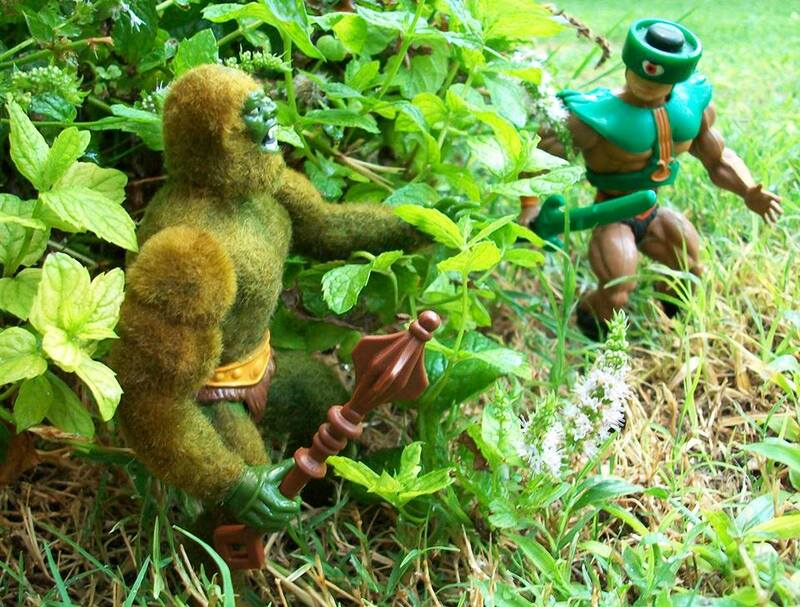 I kept it far away from Moss Man. Slimesicle! That sounds like a new evil warrior. for some reason the glue in this always impressed me and still does.. I don’t remember, and still don’t see, any fur loss. 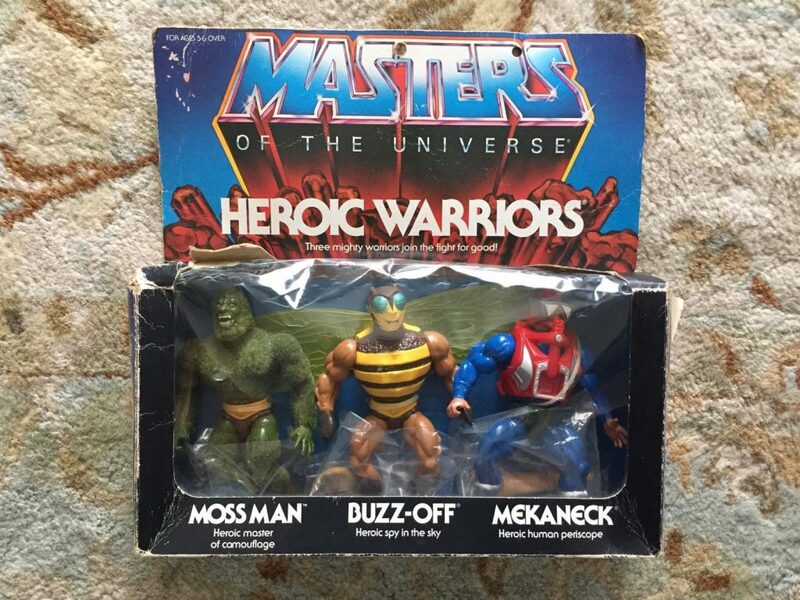 doubt you’ll see many figures that like these days.. 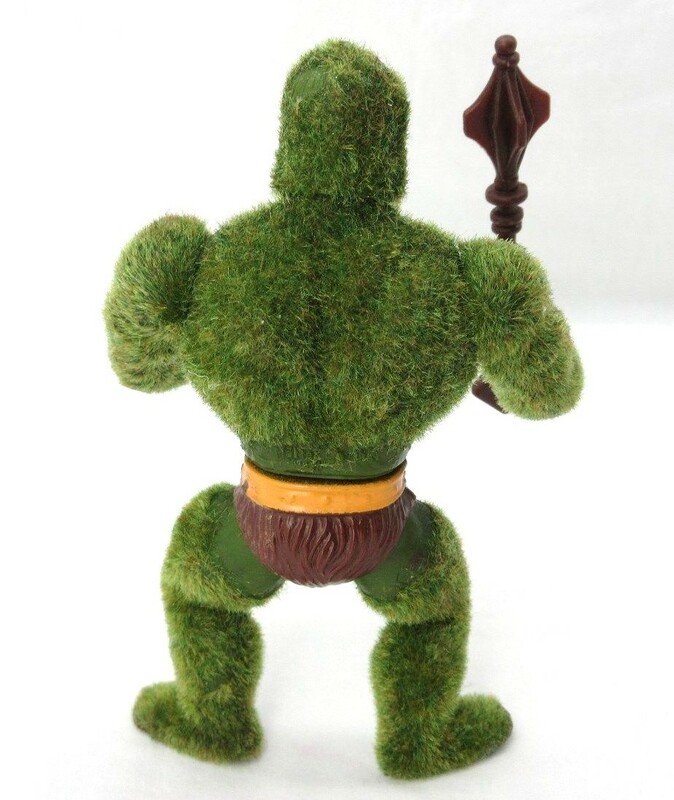 I occasionally run my Moss Man under the tap to remove dust. It has never affected the flocking. As I understand it, you can’t do that with the Masters Classics version. I remember the day I got Moss Man very well. We were at the mall, in a store called McCrory’s. 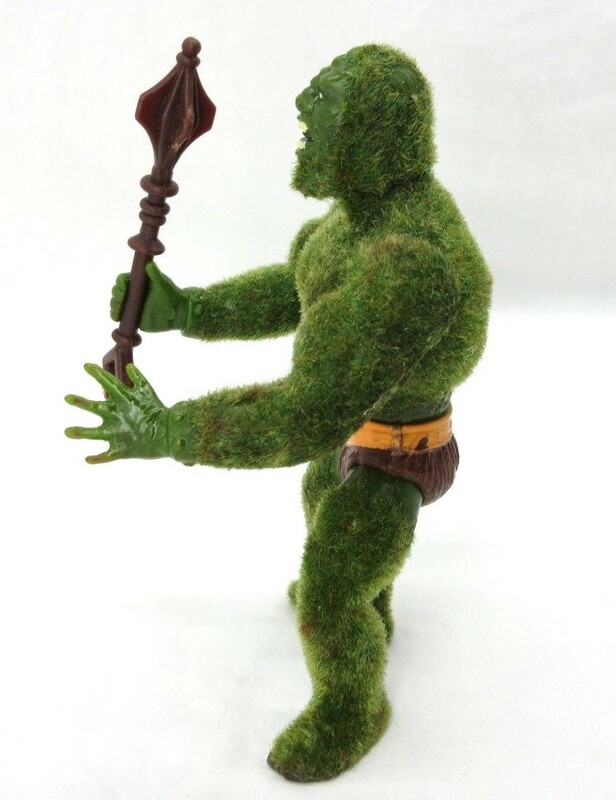 I saw both Moss Man and Stinkor for the first time, and my Mom told me I could get one. 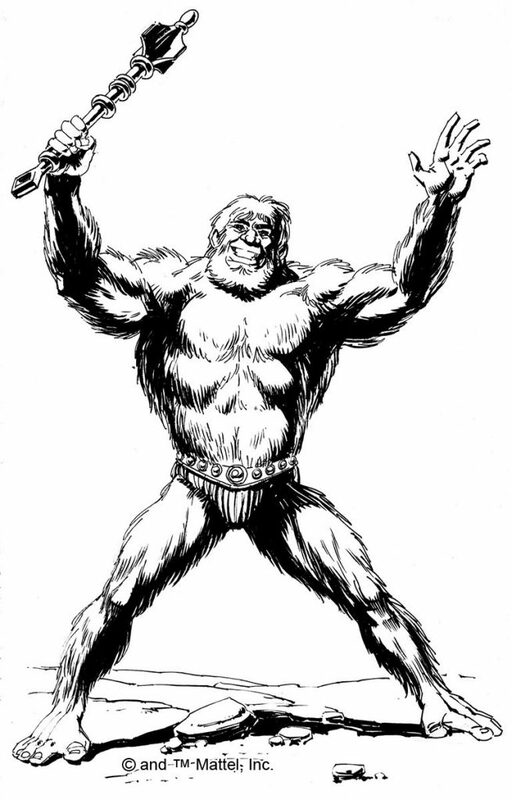 Though I was slightly leaning toward Moss Man because of his swanky fur, I agonized over the decision because they had complimentary features. (One smells good, one smells bad.) I explained this to my Mom, and she shocked be by telling me I could have both! 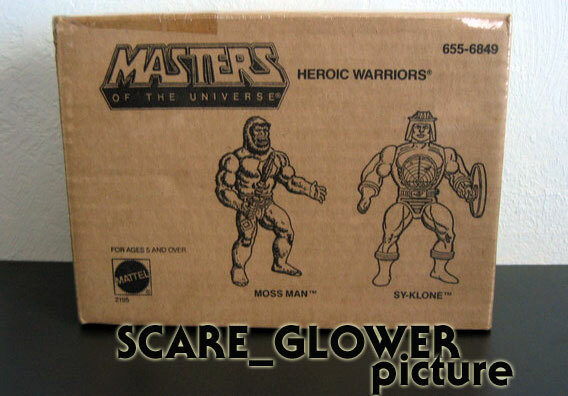 This was a big deal because we didn’t have a lot of money when I was little, so getting a toy outside of a birthday or Xmas was uncommon; getting two was unheard of. I was floored, and very thankful. Now, I appreciate it even more because I realize that she probably had to give up or delay getting something for herself so that I could get a lump of plastic that smelled like patchouli. She always put her family before herself. 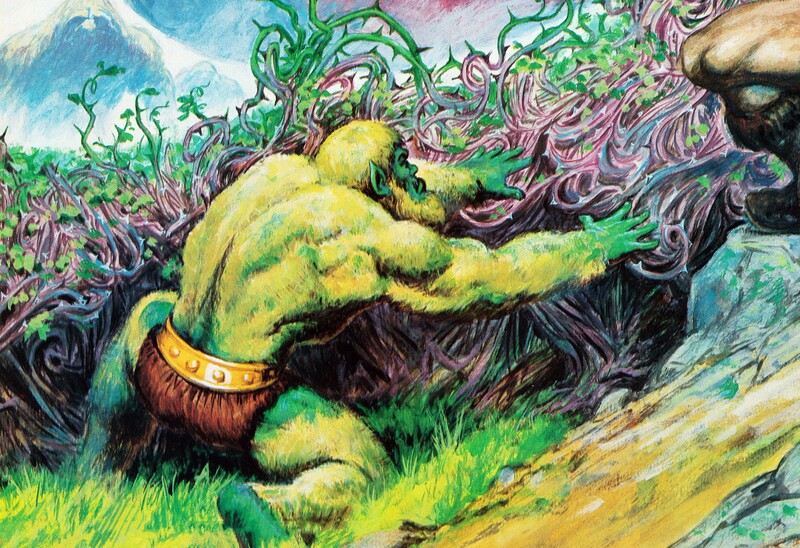 I never had Moss Man and I feel somewhat bad for him because I remember the young me judging him very harshly as “just Beastman painted of green and without the cool armor” (and while it is technically true, I despise him a little too much XD). 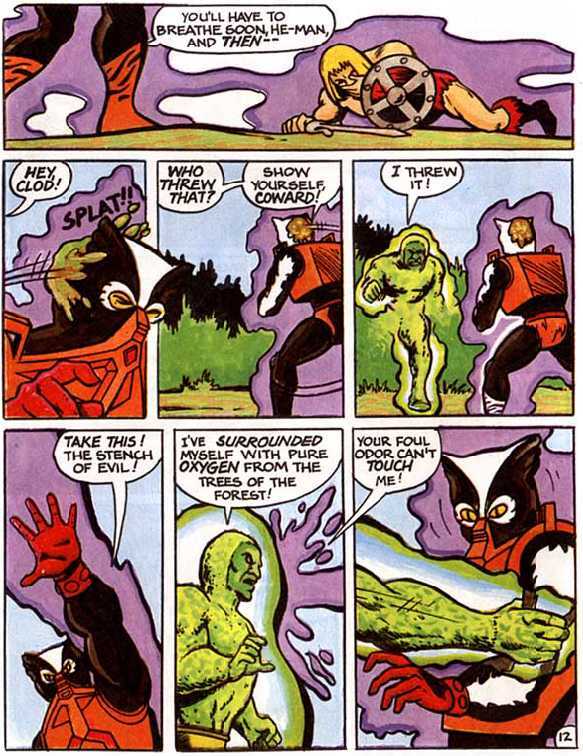 I only discovered in recent years and with great surprise that Moss Man had a scent gimmick like Stinkor: the feature was never mentioned in any commercial here. 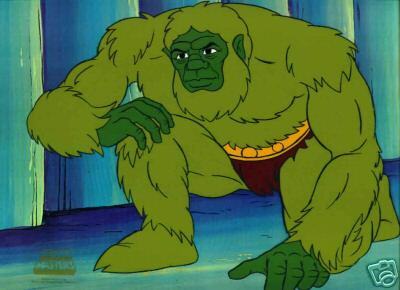 That and the fact that in the Filmation Moss Man looked like a green version of the Bigfoot Harry (Harry and the Andersons. I loved the movie and the titular character, but not as a MOTU 😀 ) was not of any help at all. Now I grown to like the character, it has potential and has his place In my personal continuity.